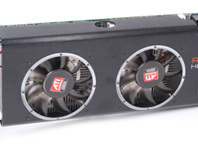 Sapphire launched its ATI Radeon HD 4850 X2 a couple of months ago without official driver support from AMD. We're back today with a full review of the card now that drivers for the card are publicly available. Read on to find out how it stacks up against the competition. 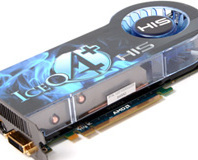 The Radeon HD 4850 X2 has been strangely absent from AMD's line up ever since it was announced at the same time as the 4870 X2. 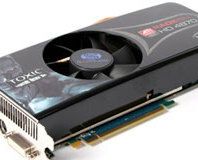 Sapphire has come to market with a custom Radeon HD 4850 X2 and we take it for a quick test drive. We have received confirmation from AMD that some Radeon HD 4830 cards have less stream processors enabled than there should be. AMD has this morning introduced the Radeon HD 4550 and HD 4350 graphics cards at the bottom of its Radeon HD 4000 series line up. COMPUTEX 2008: We've got the pics of AMD's new RV770 GPU die, memory, PCB and cooling - click to find out what's going on underneath next this generation graphics. COMPUTEX 2008: We've got pictures of AMD's new next generation graphics card, the Radeon HD 4850 - check inside to see what's changed... or not, as the case may be. 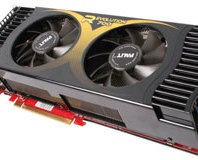 Qimonda confirms it has started shipping GDDR5 memory for AMD’s next-generation "R700" family of graphics processors.